The Book of JOY Book Club. Contact Colleen to register at 250-398-5681. 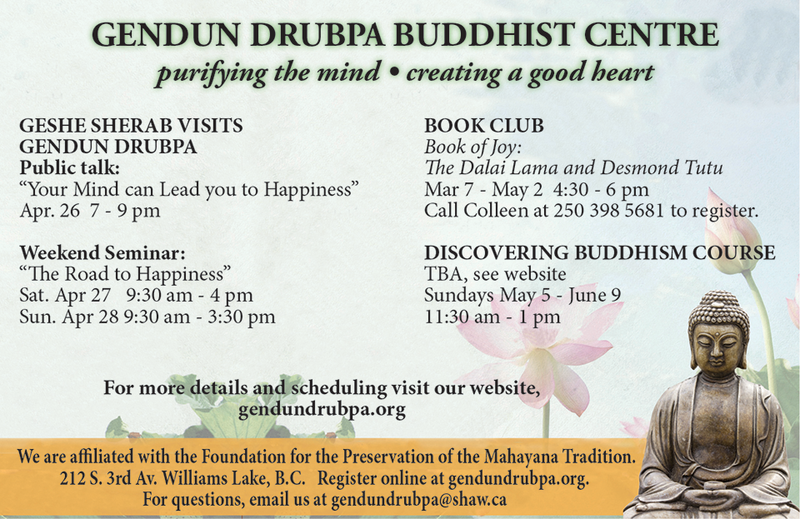 Gendun Drubpa Buddhist Centre, 212 S. 3rd Av. Williams Lake, B.C. Register online at gendundrubpa.org. For questions, email us at gendundrubpa@shaw.ca.